This is the fourth in the series, where we will explore how Singapore stacks up against other developed countries in terms of healthcare expenditure. 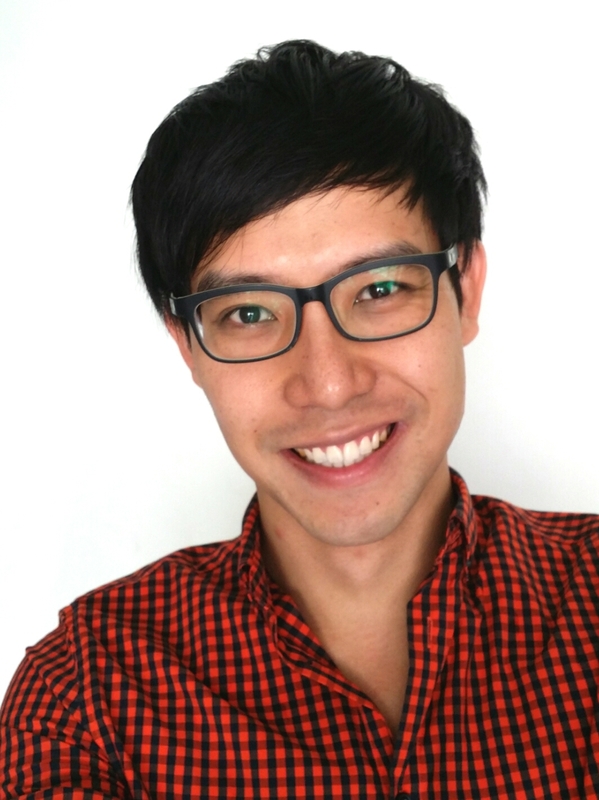 Singapore’s 3M system has often been touted as one of the best in the world, but we have examined in previous parts of this series that this much-vaunted system has some clear lacks in terms of government subsidy of healthcare expenditure, with a disproportionately high amount of the bill being paid for by employers and individuals. How, then, does Singapore compare against other developed countries in terms of expenditure by the government in support of citizens’ healthcare needs? 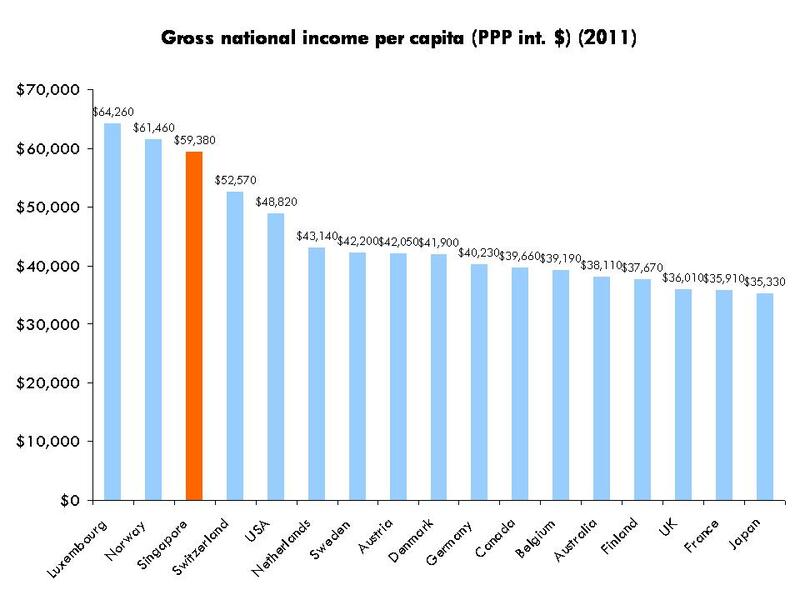 According to the World Health Organisation (WHO)’s World Health Statistics 2013 report, Singapore has the third highest Gross National Product (GNP) per capita, compared to the top 17 countries (Chart 1). 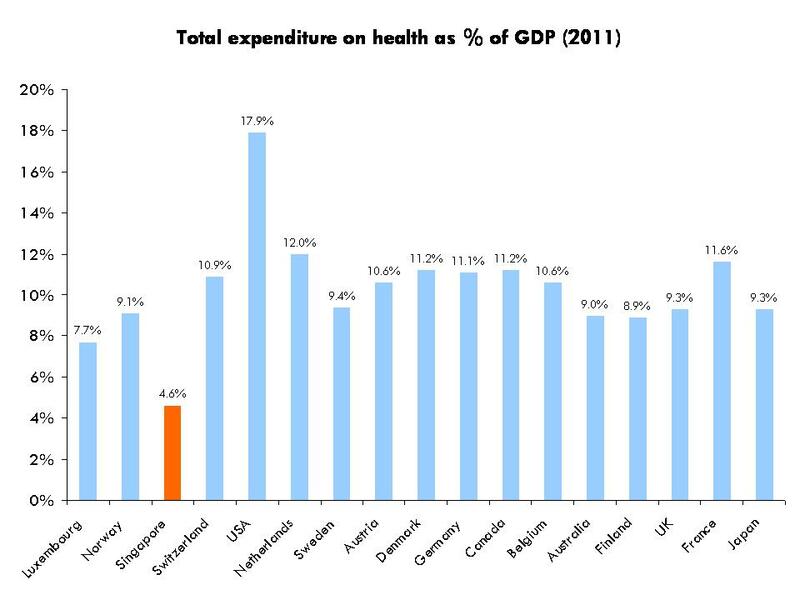 However, Singapore actually spends the least on health, as a proportion of GDP (Chart 2). This data is obtained from the Global Health Observatory Data Repository. 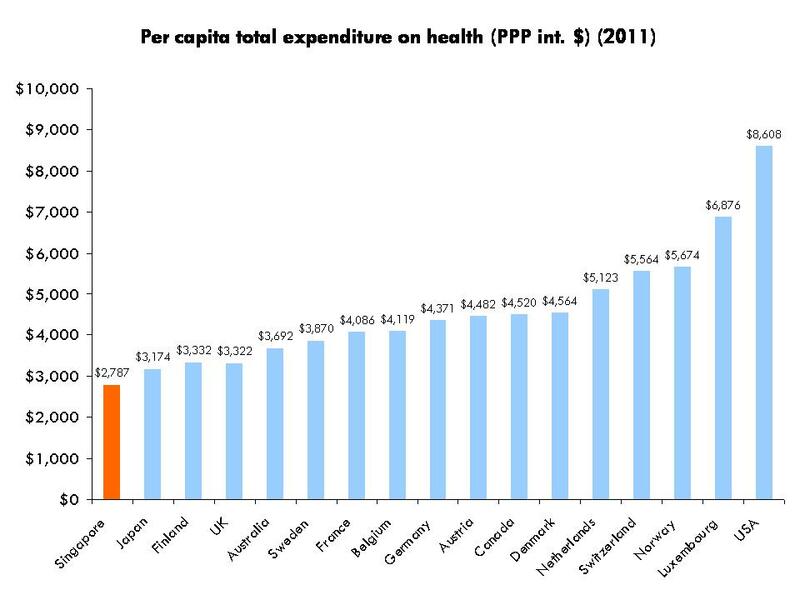 Indeed, compared to other developed countries, Singapore has the lowest per capita total expenditure on healthcare (Chart 3). 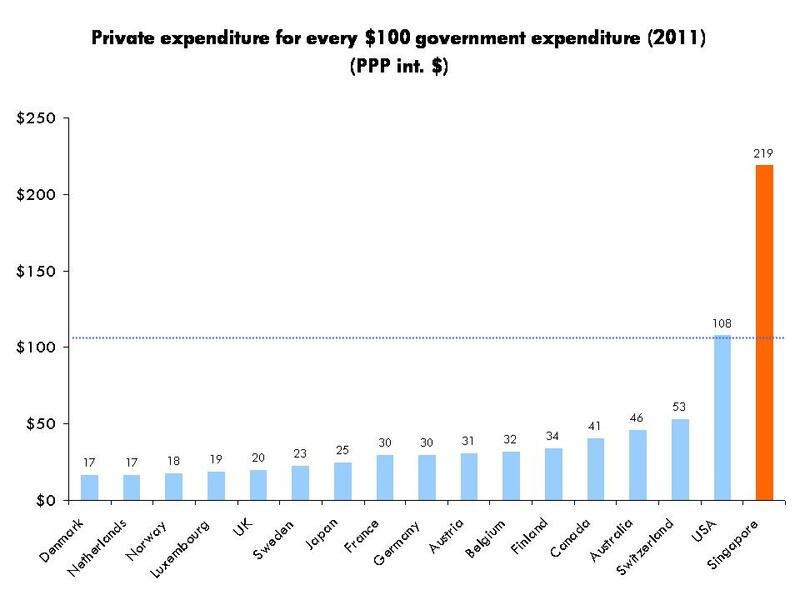 It would then seem consequential as well that Singapore’s per capita government expenditure on healthcare (Chart 4) is the lowest in the developed world. On the surface of this, it would seem that healthcare in Singapore is either really affordable even with the government’s low contribution rate, or Singaporeans are generally healthy enough to have minimal contact with their doctors. Consequently, our government spend less of our state resources funding healthcare, and it seems that the much-feared over-consumption of healthcare services is held at bay, and our GDP is protected for the future. 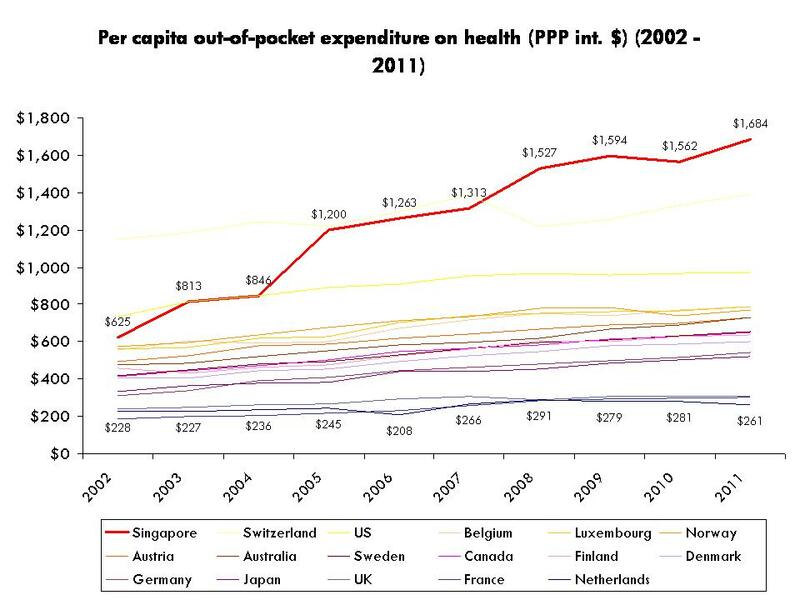 Consider this: Even though Singapore has the lowest per capita total expenditure, Singaporeans actually pay the most out-of-pocket for their healthcare, compared to people in other developed nations (Chart 5). 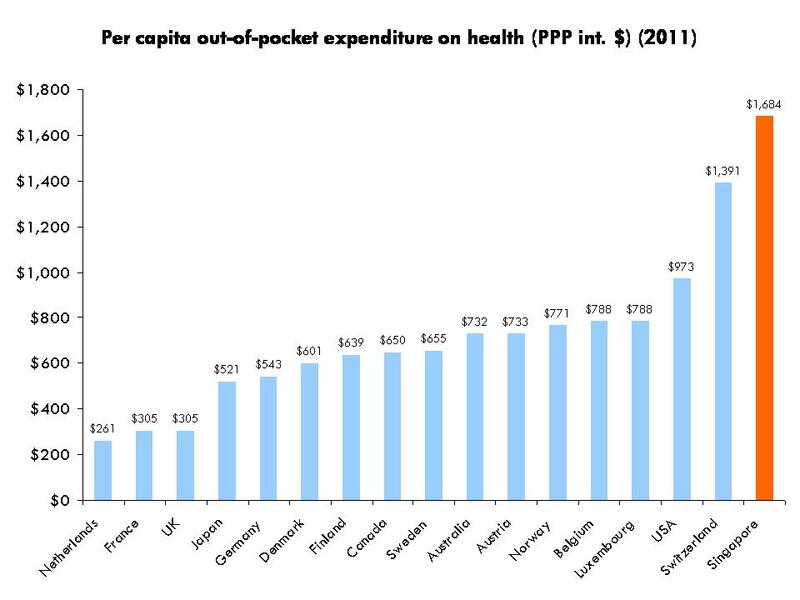 As a proportion of our nation’s total healthcare spending, we also pay more compared to people in other developed nations (Chart 6). 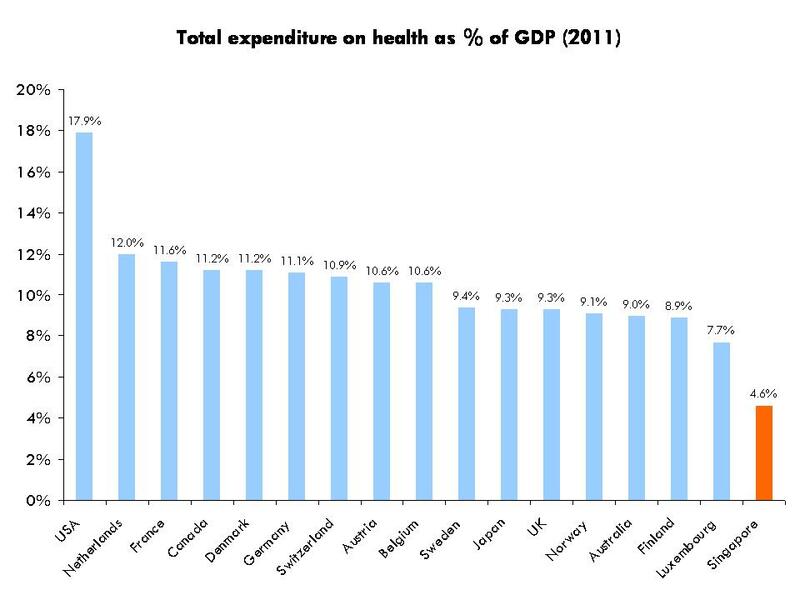 In addition, the Singapore government also spends the least on healthcare, as a proportion of the total expenditure on healthcare (Chart 7). This also means that Singaporeans are the highest out-of-pocket spenders on healthcare, which refers to “direct payments” made by Singaporeans. To look at it in another perspective, for every hundred dollars that the government spends, Singaporeans would need to pay Int$219 (Chart 8). Comparatively, for the Dutch and Danish, for every hundred dollars that their governments spend, they would need only spend Int$17. 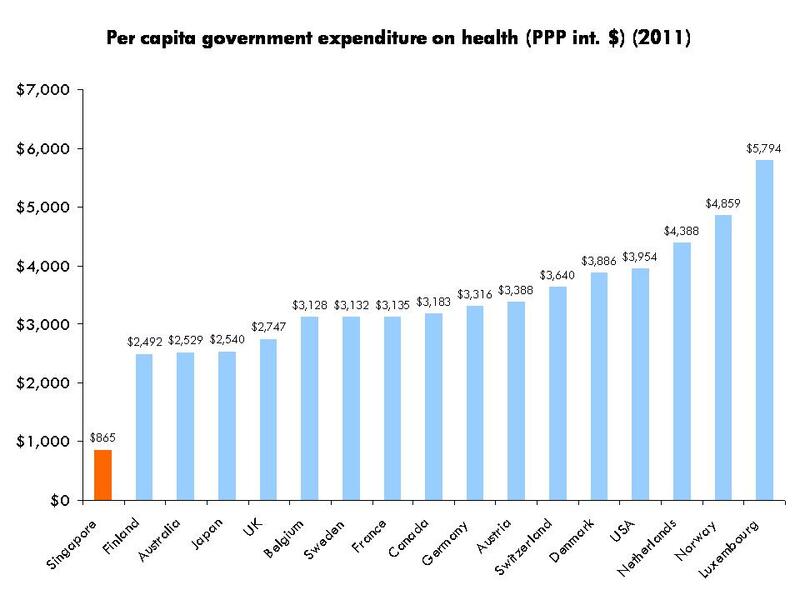 If we look at the government’s health expenditure as a proportion of GDP again and chart it against the GDP per capita, you would see that the Singapore government’s spending on healthcare is not on par with the country’s national wealth (Chart 9) – Singapore is ranked the third richest country by the WHO but the government spends less than other countries with a lower GDP. Perhaps this apparent abnormality is only a recent development given recent global economic conditions that have clearly impacted the GDP of other developed countries? Not so. 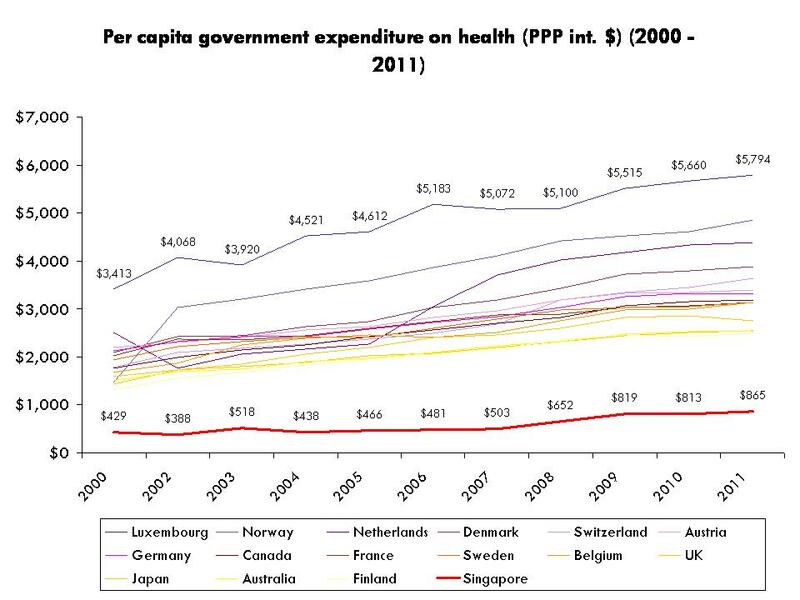 If we compare the trend of Singapore’s health spending with other countries, you can see the government’s expenditure has remained low, relative to other developed countries, over the past ten or more years (Chart 10). Meanwhile, out-of-pocket expenditure for Singaporeans have grown to be the highest among the other countries, at a rate that is faster than other countries (Chart 11). Even though the other developed countries have higher per capita total expenditure, their governments would step in to help defray the costs for its people. However, because of the low government expenditure in Singapore, Singaporeans are forced to pay for their medical expenses out of their own pockets at an even higher rate. 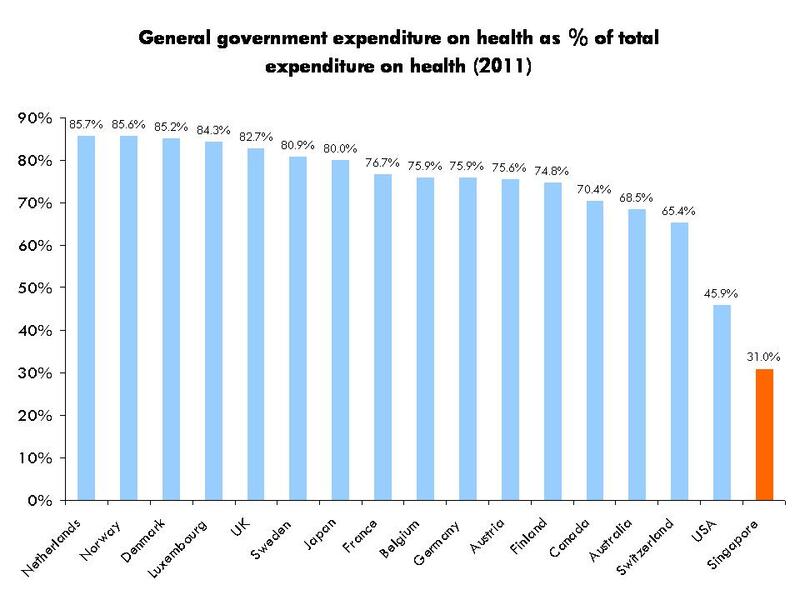 In effect, while we might seem to be prudent in our national healthcare expenditure, the reality is that when compared to other developed countries, this prudence reflects a significant lack in how our government sees itself supporting the healthcare needs of citizens. 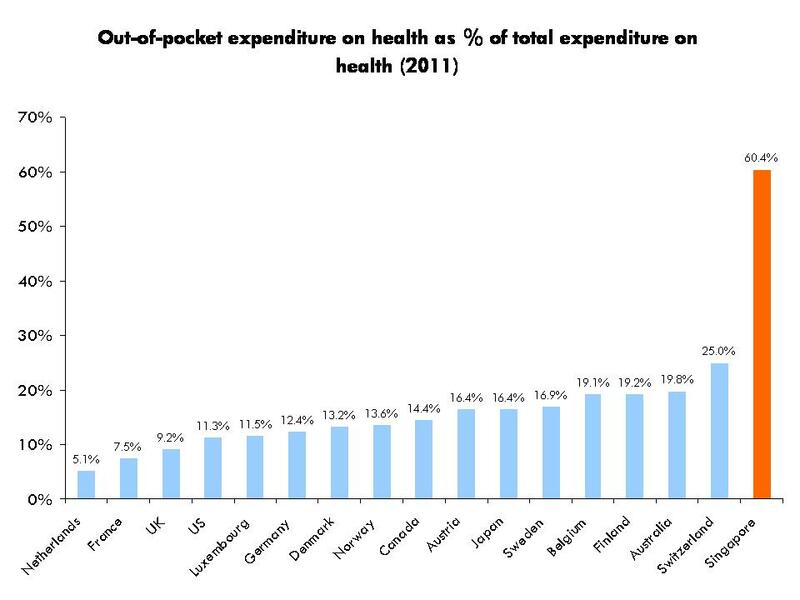 Indeed, the higher a country’s GDP per capita, the lower the proportion of out-of-pocket health spending that is required from the individuals. 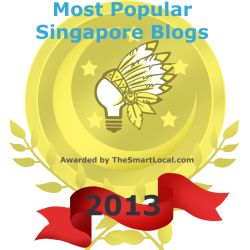 Why, then, is Singapore bucking the trend? The government might harp on preventing over-consumption as a planning principle, but has it instead been the case that Singapore’s health spending is low because of under-consumption? Of course, the claim from our government would likely be that each country has unique circumstances. 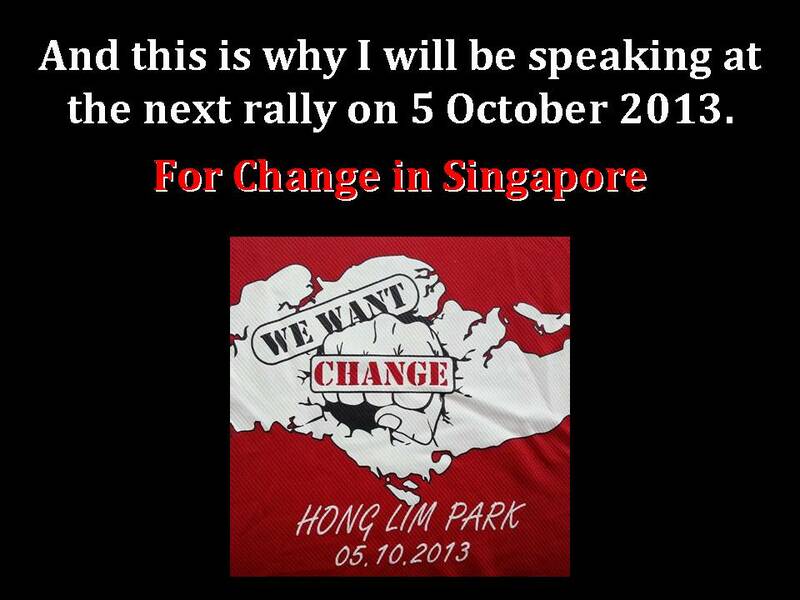 But the figures that stare us in the face clearly point to the fact that, in terms of supporting citizens for their healthcare needs, Singapore can hardly be called First World. As a high-income country and a city which has become the 5th and 6th most expensive in the world, the high prices have placed immense pressure on Singapore’s purchasing power, which is now the lowest among the high-income countries. There is a clear responsibility from the government to ensure that Singaporeans will continue to be able to access affordable and quality healthcare, and it is time to stop being wishy-washy about it. In the next part, we examine why it is imperative for the government to better support citizens for our healthcare needs.